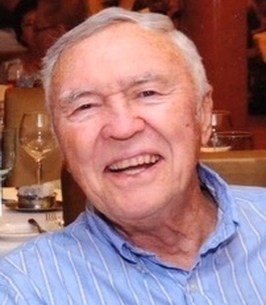 Donald John Dickson, age 88, passed away on Friday, October 5, 2018, at his home in Manasquan, NJ. He was born in Perth Amboy, NJ on July 22, 1930, the only child of Alexander and Elizabeth (Fekete) Dickson. After graduating from St. Peter’s High School, he moved to the Jersey Shore where he met the love of his life, Dorothy (“Dottie”) Margrey. They married on June 28, 1952 in Rome, New York and were blessed with 66 wonderful years together. Don was employed by Dickson Supply Company in Brielle for 45 years. He will be sadly missed by Dot and their six children: Dave (Dianne) Dickson, James (Inez) Dickson, Donna (Joseph) Maurio, John (Marilyn) Dickson, Mary (David) Dickson, Nancy (Michael) Smith; twelve grandchildren and two great-grandchildren. He proudly served as a gunner in the US Navy during the Korean War. His tour included 3 years, 8 months and 21 days aboard the destroyer ships USS Knapp and USS Yosemite. Don was a parishoner of the Church of St. Denis in Manasquan and St. Columbkille in Ft. Myers, Florida, his winter residence, where he spent 20 happy years in Palmetto Palms RV Resort. He was a member of Manasquan Volunteer Engine Company #2, a Boy Scout leader, a football and baseball coach, member of the Knights of Columbus and Elks Club and the best father/grandfather in the world. Don especially loved square dancing and spent many happy years with the Jersey Shore Promenadors. In more recent times he was an avid card player, making many great friends along the way. Family and friends are invited to call on Monday, October 8 from 5-8 p.m. at Orender Family Home for Funerals, 2643 Old Bridge Road, Manasquan. A Mass of Christian Burial will be held on Tuesday at 10:00 a.m. at the Church of St. Denis, Manasquan. In lieu of flowers, memorial donations may be made to Manasquan Volunteer Engine Company #2, 111 Parker Avenue, Manasquan, NJ 08736. To send condolences to the family please visit www.orenderfamilyhome.com. 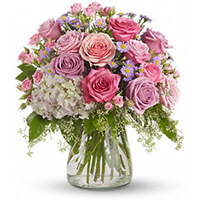 To send flowers to the family of Donald J Dickson, please visit our Heartfelt Sympathies Store. Sorry for your lost. He was a good man. With deepest sympathy from the Sales Team at Automated Packaging Systems. To my friend Jim Dickson, and Family at times like these, the words "I'm sorry",seems so inappropriate. It works when you accidentally bump into someone, but when a loved one, moves from Earth to Heaven,the words sound so shallow. However,the pain, and heartache of a loved one passing is the the hardest test of our faith that we experience here. Please not that the sorrow of the passing of Mr.Dickson is shared by many, from those who knew him directly, to people such as myself, who knew of him indirectly, through my friendship with you. I pray that God will comfort you and the Family, with his Grace and tender Mercy, especially to your Mother, who knew him the best. May God grant peace, and strength to you all, not just for the upcoming days, but all the days to come.